Here’s some good news for creative professionals: Employment opportunities are out there for candidates with the right mix of skills and experience. Here are the latest industry hiring trends, as well as a rundown of the most in-demand jobs. 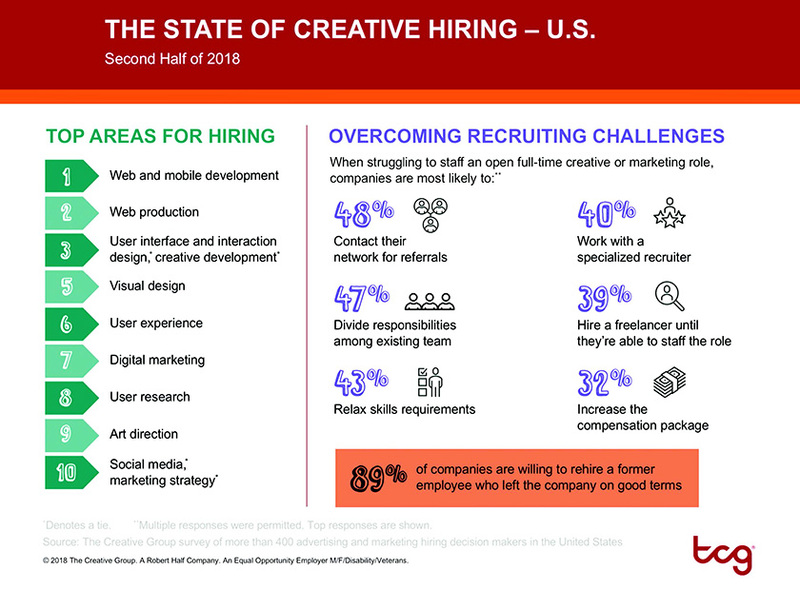 Demand is often outpacing supply when it comes to top creative talent, particularly in the digital space. The unemployment rates for certain roles — including designers and web developers — are below the national rate, which dipped to an 18- year low in May. As a result, companies are having to compete with higher salaries, more generous perks and appealing corporate cultures to attract and land the best candidates. Creative agencies and in-house departments alike are seeing more demand for digital services— and thus adding to their teams when they can. Hiring decision makers reported the greatest need is for people with expertise in web and mobile development, web production, user interface and interaction design, and creative development. Whether you’re actively seeking a new position or just curious about what’s out there, the second half of 2018 is a prime time for creative candidates. 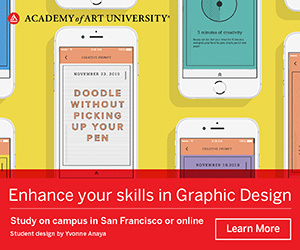 So get your creative resume and digital portfolio in order, and set your sights on these and other in-demand jobs.